This ( other than plastic film) should be placed in the household recycling bin. 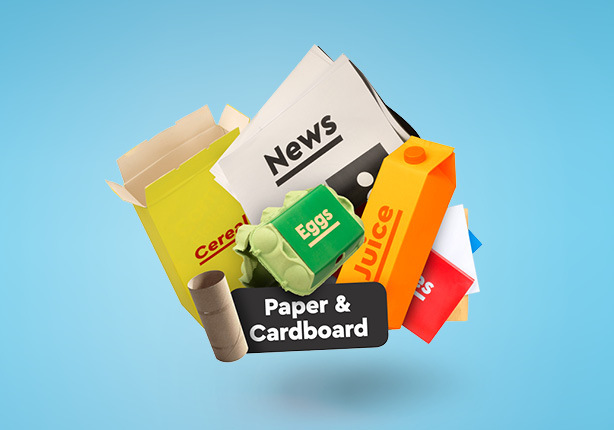 If paper or card become wet or dirty on its way to the sorting facility it will not be recycled. Only rigid plastics should be placed in the household recycling bin, soft plastics should be placed in the general waste bin.